We generally discourage employers from taking an interest in what goes on in their employees’ bedrooms, but new research is showing that encouraging staff to get a good nights’ sleep is one of the most effective ways to reduce workplace fatigue, improving workplace health and safety. 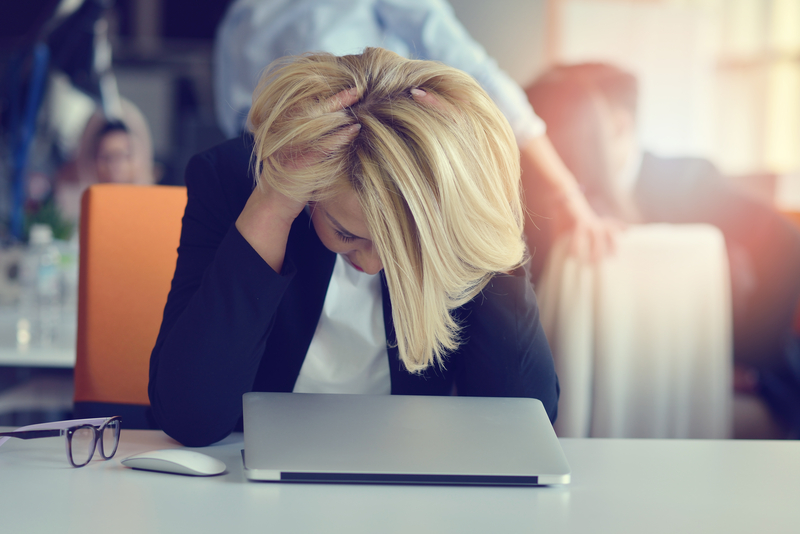 According to a recent GB survey, workplace fatigue is one of the fastest growing safety hazards for OHS professionals in Australia, and a key risk to watch out for in 2019. The Safety Institute of Australia say fatigue is one of the biggest contributors to workplace accents. Compromised Safety – fatigue and sleep loss have been shown to lead to compromised safety. This is true in all workplaces but particularly where equipment is involved. Studies have shown driving or operating equipment while sleep deprived is roughly as dangerous as a 0.10% blood alcohol concentration. Lower Productivity – sleep deficiency reduces energy and concentration, meaning staff get less done, and often at a lower standard. Higher Costs – fatigue and sleep deficiency can lead to consequences such as higher workers compensation expenses, lost shifts and other costs and risks. Encouraging employees to get a good night’s rest is great for their mental and physical health, and all around quality of life. It’s also been shown to significantly reduce fatigue. While there’s a lot you can do in the workplace to minimise fatigue, such as promoting regular breaks and appropriate scheduling of shifts, there’s nothing as effective as a good night’s sleep. Routine - going to bed and waking up at the same time every day helps build habits that promote healthy sleeping. If someone is frequently coming to work tired, encourage them to set a schedule and stick to it – even on weekends. Exercise and diet - regular exercise promotes better sleep quality. Even a 20 minute walk during the day has been shown to help. Cutting back on alcohol and large meals a couple of hours before bedtime also helps. Time out – nothing makes it harder to get to sleep than worrying about getting to sleep. Encourage staff to focus on relaxation at night, rather than sleeping. Relaxation techniques like breathing and meditation can also help. Check out our articles on mindfulness and the meditation app Happify for some more information. Fatigue is most common amongst shift workers, as well as in the construction, transportation and health industries, but it can affect any workplace. To fight fatigue and improve the quality of life of your workforce, we recommend educating your staff about the dangers of fatigue and sleep deprivation, and promoting the REST strategies for a good night’s sleep. If fatigue is an issue for your workers there’s a good chance you’ve already spotted it. The signs and symptoms of fatigue are easy to recognise, and include tiredness, sleepiness (including frequent yawning and "micro" sleeps), irritability, dizziness and increased susceptibility to illness. When meeting with someone who displays these symptoms, engage in a private, non-confrontational conversation about their sleeping habits. Run them through the REST approach, and encourage them to keep a diary of their sleeping habits so you can continue to monitor the situation. To educate your workplace about the importance of REST and many other important health and safety challenges, visit myGB Poster Designer.